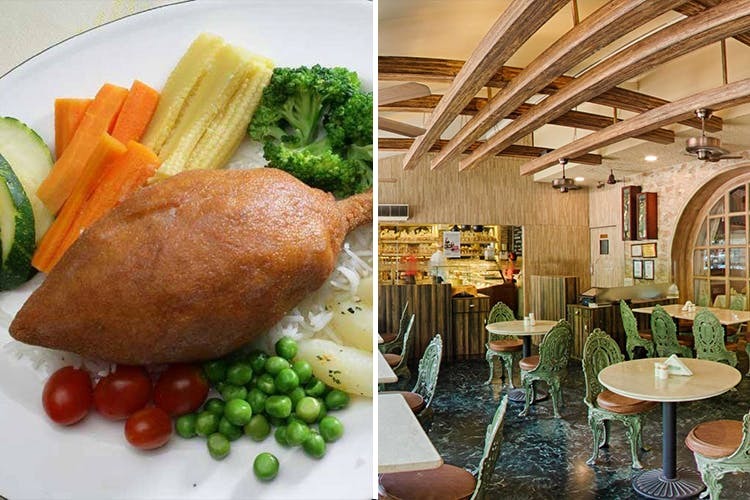 The word about South Bombay’s most iconic restaurant, Gaylord has spread to places near and far. Here’s a small guide to what to eat at Gaylord’s in case you’re planning a special meal there. Reader, you’ve entered the established restaurant, walked across the carpeted floor and been seated at the white tableclothed table. The menu has been handed to you, and you wonder: what should I order? To start off, we suggest any of their soups. The cream of chicken is especially comforting and warm, although the vegetarian option is just as good. The Waldorf salad is also very fresh and crunchy. If you like something warm, you can go for their bharwan aloo or tandoori jumbo prawns from the tandoor section. If you want to go the Indian way, have the murg makhani with naan. The gravy is flavoursome and buttery, and the dish melts in your mouth. One of our favourite dishes here is the Chicken A’la Kiev, which to date remains a classic. The sizzlers are amazing here too. If we have to pick one dessert, it would be the Baked Alaska which is a a meringue with cake and ice-cream hidden inside it.